The sign is a familiar point of visibility. The main characteristics of the sign are its limitation (as an object) and its capability of establishing a connection. The sign brings the signal to its destination: the understanding by an observer. The study of the sign is a ‘Third Quadrant’ venture, initially ruled by the two- and three divisions. The American mathematician Charles Sanders PIERCE (1839 – 1914) caught the spirit of this new field of psychological investigation, which he labelled semeiotic (in the current use and spelling the word semiotics includes all the various studies of signs). He emphasized the subjective character of the sign (in: PIERCE, 1963; par. 2.308) by saying that ‘nothing is a sign, unless it is interpreted as a sign’. The symbol rules about the use of an object as a representamen, and can be expressed in words and sentences. The threefold division of signs as a sign vehicle, designatum and interpreter (at present rendered as respectively second, third and fourth quadrant expressions of the sign) was further advanced by Charles Morris (1901 – 1979) in his book ‘Foundations of the Theory of Signs’ (1938). The quadralectic sequence (of quadrants) can be reduced from these given distinctions, but some ‘juggling’ is necessary. Signs (III) and symbols (II) have to change places. The icons remain with the symbols, but the gestures belong more to the world of signs and can even bridge the gap to a language (the sign language as a way of expression). Finally, the proxemics – cultural interaction, the feel of distance, smell, or the angle of vision – is a genuine expression of a Fourth Quadrant ‘language’, based on subjective intervention and a collective construction of the visible invisibility (IV). 4. leading them to the destination (of understanding). This sequence is derived from the coding theory (a branch of mathematics concerned with transmitting data across noisy channels and recovering the message). The various positions are given in fig. 15. Fig. 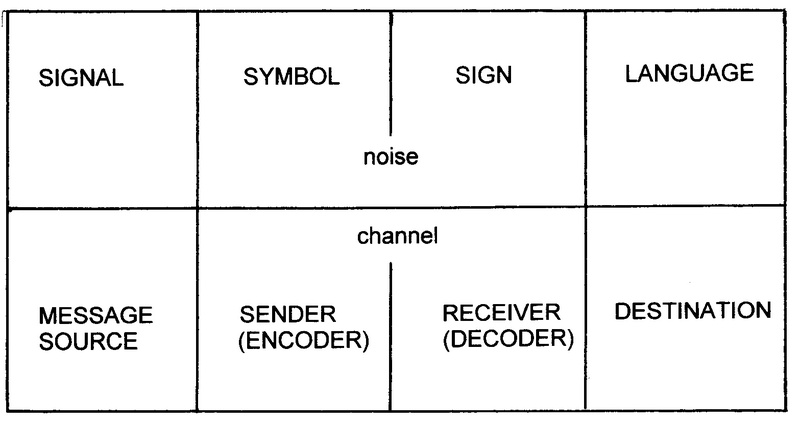 15 – The sign is a receiver in a communication, which translates a message (or an array of signals) from a sender (using these encoded messages as symbols) to a destination. The destination can be described as a language, capturing the understanding of the original signals to the participants in the communication. Its use and meaning can become a new message source for another (communication) cycle. 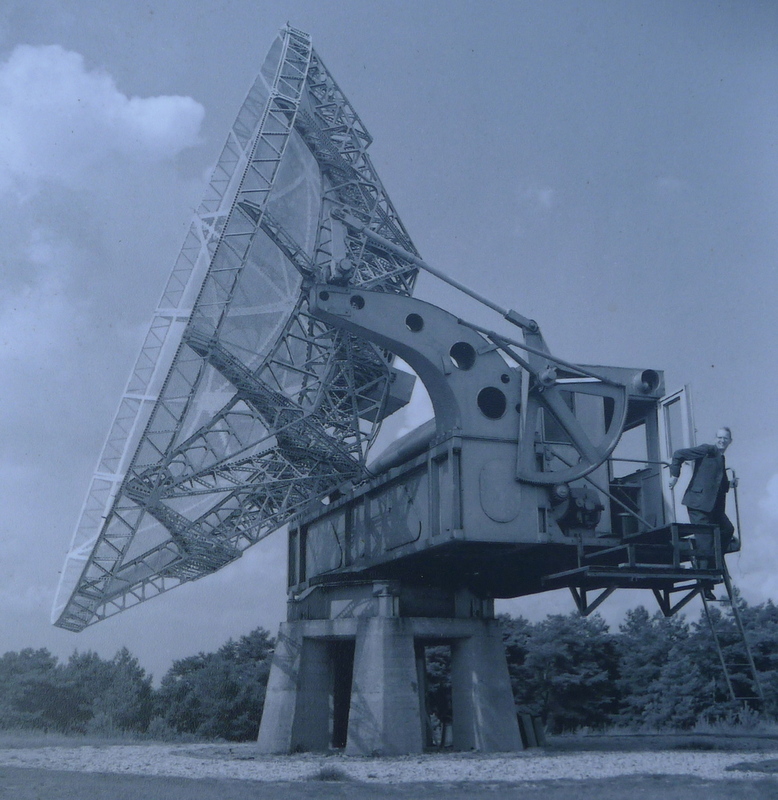 Radio telescope Kootwijk (1948 – 1955). The Netherlands – An example of a receiver (of cosmic signals).